Coach Lewkowicz coaches the team following them gaining the lead over NBHS. 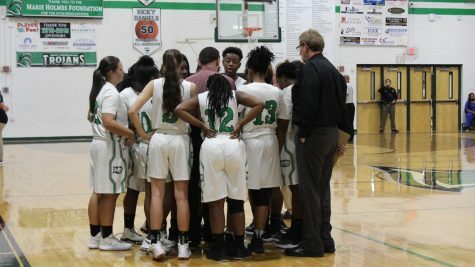 This basketball season brings yet another coaching change for the Varsity Lady Trojans–their fourth in as many years. Coach Lewkowicz and Coach Harvey have worked in West’s program before, but this year, they are taking on new roles as the head and assistant Varsity coaches respectively. Many of the athletes feel these coaches are a great addition to the women’s basketball program. 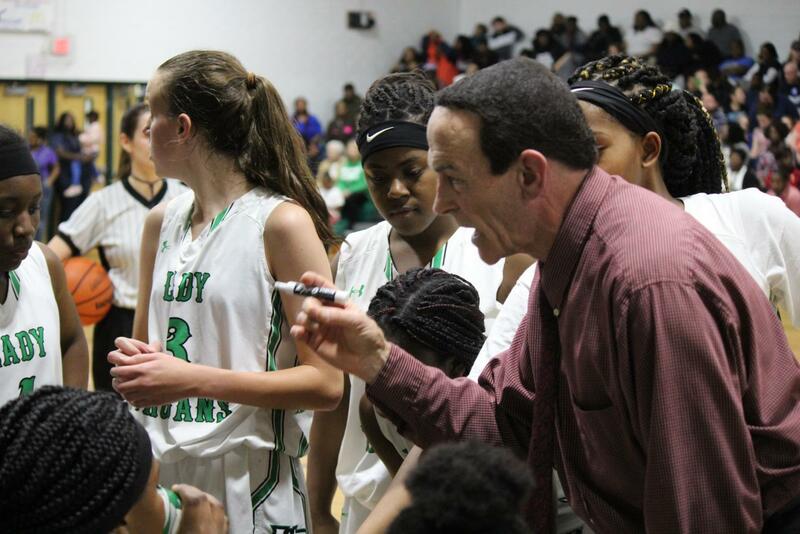 Coach Lewkowicz is the new head coach of the girls basketball team. He was formerly the assistant coach of the Lady Trojans Varsity basketball team and the interim head coach of the JV team during the 2017-2018 season. Players believe that Coach Lewkowicz has great experience and is a positive role model towards the team. Coach Harvey has had experience with the some of the players at the varsity level this year, as he was previously the head JV Coach during the 2016-2017 season and the beginning of the 2017-2018 season. The former JV basketball players feel Coach Harvey has been a great motivator and leader in his time at WBHS. The team is working hard to improve their physicality, and the new coaches are making that a priority this year.